If your water heater is aging and needs to be replaced, you may want to consider the benefits of switching to a tankless water heater. Providing you with all the hot water you need, a tankless upgrade will mean that you will never run of hot water again. An energy efficient alternative to storage tanks, these units are available from Indoor Comfort Services and are well worth the investment. If you tend to wash dishes and work at the kitchen sink throughout the day, you might want a point-of-use water heater. Perfect for heating the water you will use right at the sink, this type of tankless water heater reduces your energy usage by providing hot water only when and where you need it most. You will also use less water because you won’t have to wait as long for hot water to arrive at the sink. Whole house water heaters are ideal when you want hot water on demand at every fixture. Because these units serve your entire plumbing system, you can be assured that you will have all the hot water you need for showers, washing clothes, and cleaning around the house. Requiring specialized plumbing installation, a tankless system does not simply replace your existing tank. Additional venting is required for safety, and the units must be properly supported on a wall with the main water lines. Depending on your current home layout, the alterations could be extensive, so you should allow extra money for the installation as well as the unit itself. While tankless systems cost more for a Sacramento plumber to install, they also help you save money in several ways. Studies show that a tankless heater will lower your water heating expenses by up to 35%. With fewer parts and no glass liner to break, they also require fewer repairs. They are also more durable and can last twice as long as a traditional tank model. These reasons make tankless units an attractive choice for the savings they will provide you in the future. If you are ready to make the change to a tankless water heater, call Indoor Comfort Services for assistance. We offer high-quality heaters, and our experienced team can safely install the right system for your home and needs. Call us today at 916-993-3510 to schedule your estimate on a new tankless unit. Inspections are a great way to find and diagnose plumbing problems before they become more serious. But these inspections can sometimes be very intrusive, depending on the location and severity of the problem. Sometimes they can’t detect the real problem because of a lack of quality equipment or evidence. Indoor Comfort Services has the solution to these inspection problems: camera technology. At Indoor Comfort Services, we understand that our team isn’t perfect—sometimes during regular inspections, things can get overlooked because of lack of a good line of sight. 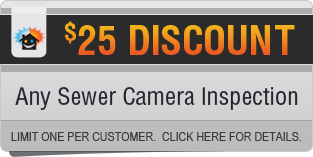 Camera inspections help to solve these issues by giving our plumbers the ability to see inside and around plumbing fixtures. This is especially important in difficult to reach or tight spaces, like in sewer inspections. The camera helps us better locate clogs, breaks, and other problems so that we can minimize the digging required during the subsequent plumbing repair. Sewers can easily become clogged and backed up because they handle all of the materials we flush down our toilets and sinks. 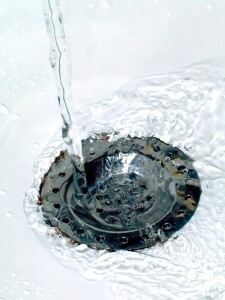 Daily wear and tear on sewer lines includes items like grease, oil, hair, and other things that get flushed every day. When these materials build up in a sewer system, they can cause clogs and backups that are hard to reach. Conventional methods of clearing out these plumbing issues include digging down to the sewer line, which can cause serious disturbances to your yard or grounds. Our team’s camera technology allows us to pinpoint problems and therefore dig only where absolutely necessary to fix the problem. 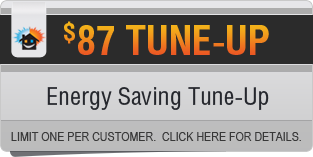 Indoor Comfort Services is a Sacramento plumbing, heating, and air conditioning company. Our business is all about making your home or business more comfortable, and our job isn’t complete until we have your absolute satisfaction. If you’ve noticed problems with your sewer system, give our offices a call today to talk about your options: 916-993-3510. Water heaters are essential to Sacramento homeowners’ daily routines. These devices provide the hot water required for activities like cooking, cleaning, and bathing. But if you have a conventional tank water heater, you’ve probably experienced impatience while waiting for what seems like forever for the water to become hot, or the frustration when the tank runs out of usable hot water. Indoor Comfort Services has the perfect solution for your water heater woes—a tankless water heater! Saving energy. Tankless water heaters only use energy when they’re needed. This means that your water heater will never be using energy (or wasting money) when the water is turned off. Saving space. Unlike conventional tank heaters that are large and bulky, tankless water heaters are space-saving and can be mounted just about anywhere. If you don’t have a lot of room to work with, a tankless water heater could be the best option for your home. Versatile installation. Depending on your home and family’s needs, you can choose from two types of tankless heaters. 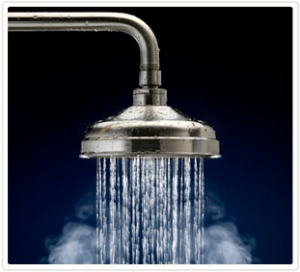 Single-point application (or point-of-use) water heater is ideal if only one plumbing fixture needs hot water. Multi-point (or whole house) tankless heaters serve the entire household. 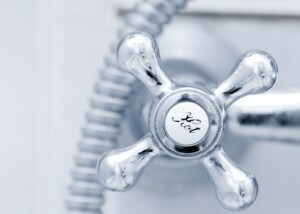 Best of all, tankless water heaters have limitless supplies of hot water. That means that you will never again have to endure the frustration of waiting for hot water to return. Not only does this save you time on your daily routine, but it can also save you money in the long run. Tankless water heater installations can save up to 35% of monthly heating costs when installed correctly. 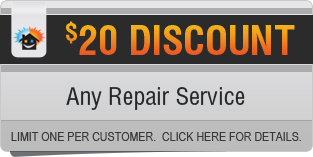 Even better, they require less maintenance, meaning you save money on plumbing repairs as well! Indoor Comfort Services’ Sacramento plumbing team has the knowledge and experience to recommend the best model and size for your home’s needs, which will save you energy and money in the future. If you’re tired of waiting for the hot water to kick in for your early morning showers, give our team a call today to discuss tankless water heater installation: 916-993-3510.